Oliver! The Musical (1968) Full Movie. Have anda ever seen atau been in Oliver on stage? Did anda enjoy Oliver! the musical in the West end? please sertai my Dodger page! Shmoop will help anda become a better lover (of literature). Deep analysis, links-video-photos-audio-galore, trivia, technique, and oh so much more. Oliver! UK TOUR - COMING SOON! Bringing vividly to life Dickens’ timeless characters with its ever-popular story of the boy who asked for more, Lionel Bart’s sensational score includes Makanan Glorious Food, Consider Yourself, You’ve Got to Pick-a-Pocket atau Two, I’d Do Anything, Oom Pah Pah, As Long As He Needs Me and many more. a poll telah ditambah: Between my two favourite characters, who do anda like the most? a video telah ditambah: Oliver! The Musical (1968) Full Movie. a comment was made to the poll: best character? 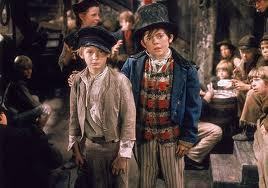 Tickets for a family of four to see Oliver!